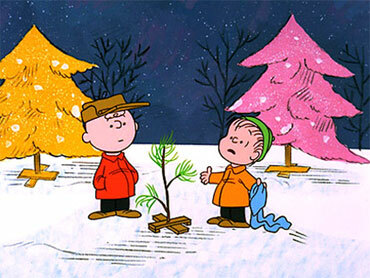 Texas AG Ken Paxton says school tried to illegally "silence a biblical reference to Christmas"
KILLEEN, Texas - The Texas attorney general is criticizing a school district’s decision to remove a portion of a poster that included a biblical verse recited by Linus in the film “A Charlie Brown Christmas,” based off the Peanuts comics. But CBS Waco affiliate KWTX-TV reports that Killeen administrators argue school employees are not permitted to impose their personal beliefs on students. “Upon review, it is clear that this display was not in keeping with the Merry Christmas Bill (House Bill 308), which requires that a display not encourage adherence to a particular religion,” the KISD said Friday. With the “Merry Christmas” law, then-Gov. Rick Perry, R-Texas, attempted to codify educators’ ability to decorate schools - as long as there’s a secular symbol next to each religious one, or two religions represented. The law also legalized lessons about the “traditional winter celebrations” as well as wishing each other a happy holiday, Hanukkah or Christmas. Though the bill is named after the Christian holiday, Perry said the law is not meant to protect one religion over another.